Even the creator of Sherlock Holmes, Sir Arthur Conan Doyle, would rave about the Baker Street mystery series! 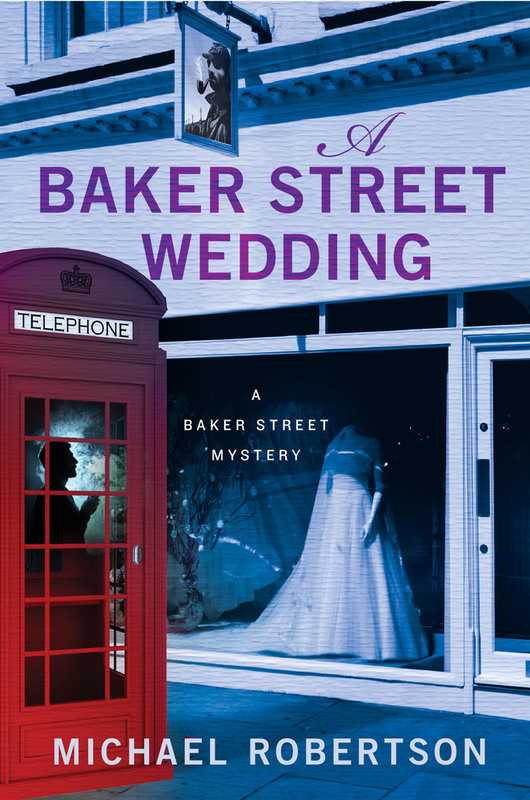 A Baker Street Wedding is another winner, and not to be missed. The wedding of Reggie Heath and the celebrated actress Laura Rankin was reported in all the tabloids—which is to say, it was a disaster. Now, in a remote village on the British coast, locked in by sea cliffs on one side and moors on the other, the newlywed’s plane—piloted by Laura—has landed. Reggie doesn’t understand why Laura has picked this god-forsaken hamlet for their honeymoon. What is she keeping from him? The answers are in Laura’s past, but she’s not saying, and Reggie is out of his depth. He must have help—or his worst fears and more will be realized.